St. Helens Presidents day weekend? Hello everyone! 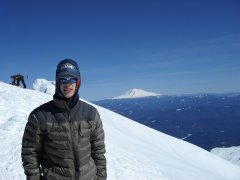 If the weather is good my buddy and I will be heading out to helens to climb up and beyond. If anyone else is interested let me know! Weather has to be pretty perfect so ill keep an eye on that. Cheers!! Hello everyone, ill be looking to run down to shasta that weekend. Im going alone right now but if anyone in oregon, cali, or washington wants to join let me know. I plan to do car to car pretty much. Leave early saturday morning to cali get permit from mt. shasta city then park at trailhead start up around 10 pm saturday. climb up and drive back to washington sunday probably running into the wee hours of monday morning. Let me know if anyone is interested! Rainier Furher Finger??? ID?? Adams?? Baker?? Hello! I got permission from mother to go climbing on her special day;) I do not have skis sorry to you all. I have climbed it on mothers day before i think 2013. I know the crowds but I want to climb it again. I miss the climbing. I am well-skilled in St. Helens climbing, check my trip reports of her. Let me know if you need a partner or if i can tag along for the big day! looks like the Leuthold couliour on the last photo? I saw you guys in the CIC Saturday morning getting permits. And coming down the DC. We were on the cleaver heading down when your team passed us. Still gotta get my DC trip report up. The DC was sketch coming down!